Like the far-Leftists who failed to recognize the evils of the Soviet Union, many Americans today—including some of its most influential editors—can’t see what’s wrong with anti-Israel activism. And liberalism itself is now in danger. The recent controversy over Scarlett Johansson’s endorsement of SodaStream, an Israeli company with a factory in the West Bank, and her subsequent refusal to be bullied into repudiating the company, has cast a spotlight on the anti-Israel Boycott, Divestment, and Sanctions (BDS) movement and its campaign against the Jewish state. Far less attention, however, has been paid to the media’s role in furthering this campaign and anti-Israel hatred in general. This is unfortunate, because much of the media coverage of anti-Israel and anti-Zionist activity has been characterized by misreporting, selective outrage, and sometimes outright falsehood. This is particularly the case in regard to media coverage of the academic world, which is the main source of support, organization, and activism for anti-Israel causes across North America and Europe. Some parts of academia have turned anti-Israel words and actions into a cottage industry, manufacturing vitriol and protest against the very existence of the Jewish State. By and large, the media allows members of the anti-Israel industry to portray themselves as concerned humanitarians, paragons of free speech, even objects of oppression and censorship by pro-Israel Jews and Jewish organizations. Those who question their motives and the validity of their arguments, and demonstrate the hypocrisy they espouse, are rarely accorded the same courtesy. A glaring case in point can be found in The New York Times. While it is only one media outlet among many, it is nonetheless one of the most important—often setting the tone for others across print, broadcast, and online media, and widely revered among both general readership and the elites in business, politics and entertainment. Most of the criticism of the Grey Lady regarding Israel comes from the political Right. I offer my criticism as a liberal who believes that a two-state solution is key to Israel-Palestinian peace. I have been a New York Times reader for more than a half-century, a political liberal who has long supported the Democratic Party and the National Jewish Democratic Council. I have fought for free speech, fair play and religious pluralism in North America and in Israel. I have been vilified by right-wing Jewish extremists who have called me a kapo and worse. So, it is with much regret that I write to ask the Times and other media outlets to stop demonizing Israel if they really care about achieving our common interests. Strangely, the Times has never followed its own logic by, for example, condemning African-American organizations for failing to open their doors to, say, people who want to reinstitute segregation or slavery. But there is a more immediate problem. Does Hillel actually say what Goodstein claims? Hillel’s new president Eric Fingerhut stated unequivocally. “Hillel,” he pointed out, “has never said any such thing, and the Times knows it.” This presents the reader with a serious dilemma: Either Fingerhut or the Times is seriously misrepresenting the truth. From my own experience, I can attest that the latter, misrepresentation by the Times, has too often been the case—and that exploring this particular dynamic lays bare a deep flaw in the discourse about Israel today, and the risks of what may yet happen if well-meaning liberals remain silent. Bayoumi, I quickly discovered, was no more benign than his mentor. He was the editor of a collection of articles called Midnight on the Mavi Marmara: The Attack on the Gaza Freedom Flotilla and How It Changed the Course of the Israel/Palestine Conflict. It was, of course, about the May 2010 incident in which the IDF boarded a group of ships filled with activists attempting to run the blockade of Gaza. After several of the activists, armed with iron bars and blunt weapons that they had prepared in advance, attacked the Israeli soldiers involved, the Israeli soldiers attempted to subdue them by non-lethal means, but were ultimately forced to use their sidearms in order to stop the violence. Several of the activists were killed, and much of the world erupted in virulent criticism of Israel even as video evidence revealed that the activists had indeed initiated and sustained the assault. 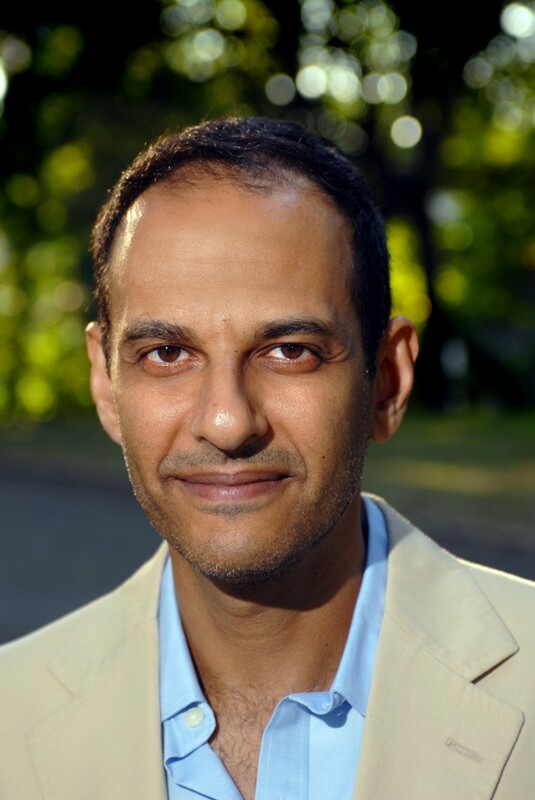 Bayoumi and his fellow writers, however, attempted to rewrite the history of the flotilla, portraying it as a humanitarian gesture intended to provide relief to “the beleaguered Palestinians of Gaza” and—in defiance of all available evidence—blaming Israel for the violence. Ironically, it was known even in 2010 that one of the most prominent groups involved in the flotilla was the IHH Humanitarian Relief Organization. IHH was then accused of being associated with terrorist organizations, which IHH vehemently denied. The upshot is that just recently IHH’s offices were raided by Turkish police. The reason? The police suspected that IHH has connections to al-Qaeda. Naturally, the choice of such a radical anti-Israel figure had me deeply concerned, not so much by the book he had written but rather by the possibility that he would be provided a platform from which he would spread a message of hate. There had been a few articles and op-eds by some hotheads who viewed the invitation to Bayoumi rather harshly. 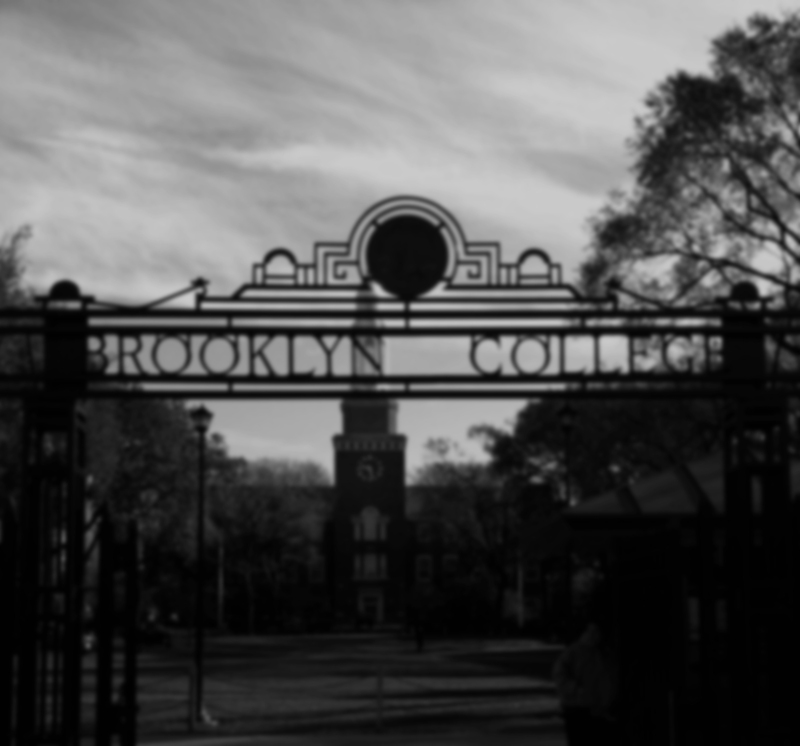 As a then-member of the Brooklyn College Foundation Board, I had the opportunity to speak with Karen Gould, the College’s president, to inquire about the situation and to emphasize that our interests in defusing the situation were aligned. President Gould assured me that Professor Bayoumi would not speak about any subject beyond what he had written in his book. 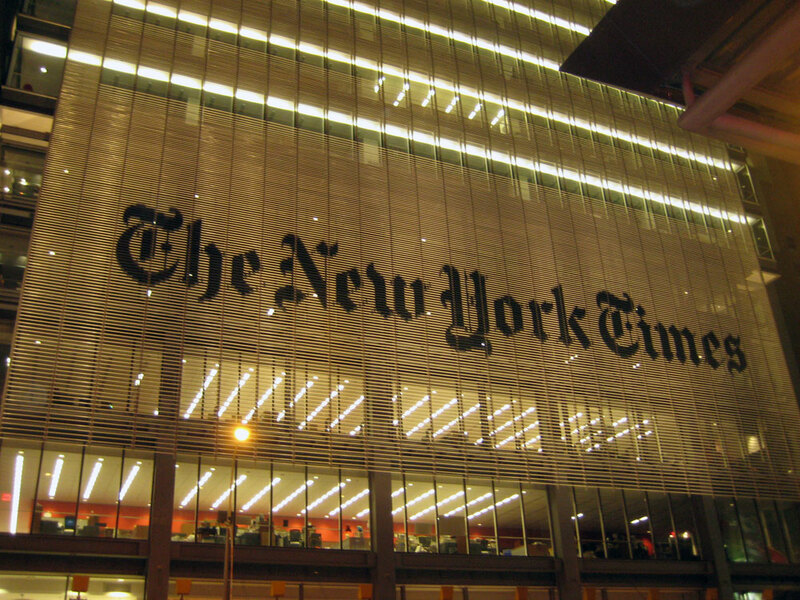 After Bayoumi’s lecture, Tanger Hillel’s Executive Director was asked to comment on the situation by The New York Times. On behalf of our Hillel, I wrote a statement that began as follows: “Brooklyn College Tanger Hillel is in agreement with the objectives of the common reading assignment. We believe that it is important, particularly in New York City and specifically in Brooklyn, that students of differing backgrounds treat each other with respect. It is also important for college students to learn about others’ cultures and beliefs. All these should be presented in a non-threatening way that allows for open discussion.” I also expressed our concerns and noted that fortunately they were not realized. “We appreciate that,” the statement continued. What we remain vigilant for are the types of activities that occur on too many campuses in North America, where hate speech has become “protected” under the guise of academic freedom. We find it to be unacceptable when these campus organizations spew hatred against not only a sovereign nation, but upon students with a different religion. We also find it to be unacceptable when these same campus organizations deliberately disrupt speakers who may be supportive of a different point of view and even attempt to stop such speakers from being on campus. We would love to be able to participate in educating our students and staff about this very divisive issue. The point here is not to rehash the Bayoumi affair, so much as to recognize the extent to which an ideologically charged editorial environment can warp reality at even the most prestigious mainstream media outlet in America. I was forced to conclude not only that the Times considered these comments unimportant but that the Times did not want them to be printed. That is, the paper seemed more concerned with protecting Bayoumi and Brooklyn College than accurately reporting on the issues the event raised. Reading Gootman’s piece, one could easily infer that if the most prominent Jewish organization on campus was perfectly fine with Bayoumi presenting this year’s Common Reader, then there was nothing for anyone else to get particularly excited about. My concerns only deepened as my tenure at Hillel continued; and so did my dismay at the Times’ coverage. In January 2011, Brooklyn College’s Political Science Department (PSD) hired a 26-year-old graduate student named Kristofer Petersen-Overton to teach a course on the Middle East. I soon discovered that Petersen-Overton had, in fact, no intention of teaching a course about the entire Middle East. His proposed syllabus was solely about the Israeli-Palestinian conflict, not the Middle East as a whole; and almost all the readings it contained were from an anti-Israel perspective. Naturally, controversy ensued as to the PSD’s rationale for such a hire and Peterson-Overton’s qualifications. has come to define not only innocent non-participants killed in the crossfire, but also those who die voluntarily for the nation as a human bomb, both are equally honored by virtue of their death alone…. Martyrdom draws upon the prevailing narratives of struggle and sacrifice by casting self-destruction, the giving up of one’s own body for the figurative national body, as a form of national empowerment. I was even more disturbed by the Times’ complete indifference to the larger context of the problem: The growing shift from teaching to preaching, and the misuse of the department’s academic freedom to promote hate speech that demonizes the Jewish State. The more I looked into the matter, the more it appeared that the PSD was composed almost entirely of political extremists. Moreover, very few of the tenured professors had backgrounds in areas one might consider relevant to political science. They are focused on worker mobilization, protest movements, worker resistance, black freedom struggles, grassroots organizing and worker cooperatives; the department itself is headed by a professor specializing in Lesbian Gay Bisexual Transgender and Queer studies (LGBTQ). While not problematic in and of themselves, these facts do seem to indicate that a monolithic and extreme political culture dominates the department. More disturbing were reviews of the staff’s teaching practices, some of which raised concerns about political one-sidedness, an unwillingness to accept conflicting opinions, and an intensely radical political perspective. Other faculty members have accused the PSD of enforcing a specific political line and using borderline unethical methods to keep the department politically monochromatic. It seems unusually sloppy that the Times has not reported on these issues in order to put the department’s anti-Israel activism in context. Indeed, in recent years the PSD has become the vanguard of the anti-Israel industry at Brooklyn College. Last year, the department cosponsored two advocates of BDS: Omar Barghouti, one of the founders of the movement, who later wrote a paean to BDS in the Times itself; and Judith Butler, a disciple of Edward Said who teaches at the University of California, Berkeley. Butler subsequently provided The Nation magazine—an outlet that has often been vitriolic and, I believe, deeply unjust in its criticism of Israel—with a copy of her remarks. This controversy led to two incidents that I can only describe as bizarre. In an effort to address our concerns and appear even-handed, the chair of the PSD, Paisley Currah, agreed to host a pro-Israel speaker whose presentation would be cosponsored with Tanger Hillel. Currah apparently based his agreement on an email purportedly sent by a student to a Tanger Hillel officer. We soon discovered, however, that neither the student nor the officer actually existed. Our attempts to trace the email led to a firewall and no further. Currah tried once more, citing a letter sent to him by a self-described Brooklyn College alumnus. Our research showed that this individual had been a member of a radical lawyers’ organization and was now living in a suburb of Burlington, Vermont. When I telephoned him, a woman answered and promised to pass on my request to speak with him. I never received a reply. One would think that such cloak-and-dagger behavior might arouse a certain amount of interest on the part of the media in the midst of intensely covering these controversies. Unfortunately, political demagogues like New York State Assemblyman Dov Hikind asked the College’s president to cancel the BDS event. We never took such a position, recognizing the presenters’ freedom of speech, but the Times simply ignored the real issues and instead focused on the issue of free speech. In support of its position, the Times provided space to Joseph Levine, a professor of Philosophy at the University of Massachusetts, Amherst, who described himself as having been “raised in a religious Jewish environment.” “My view,” he opined, “is that one really ought to question Israel’s right to exist and that doing so does not manifest anti-Semitism.” Levine saw as problematic the notion that “is found in the crucial four words that are often tacked on to the phrase ‘Israel’s right to exist’—namely, ‘…as a Jewish state.’” He then disassembled the concept into “three parts,” and blithely concluded that “there is a basis to challenge all three.” “Any state,” we ultimately learned, “that ‘belongs’ to one ethnic group within it violates the core democratic principle of equality, and the self-determination rights of the non-members of that group.” How Levine’s ramblings were relevant to the issues at hand, which concerned the misuse of academic institutions to push partisan political positions and potential hate speech—as well as very peculiar and unnerving behavior by a department chair—remained a mystery. I am again speaking from unfortunate experience when I say that the New York Times is by no means alone in its use of all resources, editorial, op-eds, opinions and news to express its leanings. Six years ago, my wife and I attended the first Limmud conference for Russian-speakers held outside Moscow. Hundreds of college students and recent graduates from all over the former Soviet Union attended, and there were hundreds of sessions in both English and Russian. One that I attended was a discussion hosted by David Landau, then editor-in-chief of the ultra-liberal Israeli newspaper Haaretz. Landau openly admitted that he utilized Haaretz’s news sections to promote the paper’s political point of view. When I asked him why he accused Israel of being an apartheid state, he replied rather cavalierly, “Because it is.” I suggested that his use of such harsh rhetoric in the news section of arguably the most prestigious paper in Israel misrepresented the situation and harmed Israel itself. He was unmoved. given the central role that City University (and indeed, Brooklyn College) played in the debates over Communism in the middle of the previous century, this debate—for BDS opponents—raised many of the same kinds of issues faced by liberal and democratic socialist opponents of the Communist Party and its allies during the McCarthy period. As with Communists and liberals in the Bad Old Days, supporters of BDS can sound somewhat like supporters of Israeli peace movement and a two-state solution. Again, similarly, they are its opposite.… Anti-Communist intellectuals in the 1950s had a more difficult decision to face than we do because many of them were forced to risk their careers in support of their principles and to do so on behalf of people whom they knew to be liars—and sometimes even spies. No doubt many if not most of the supporters of BDS are the naïve, idealistic types of people who were attracted to Communism in the thirties… But their innocence—and the abuse that results from opposing them—does not excuse our responsibility to condemn the intellectual masquerade in which BDS engages and the destructive consequences it supports. In the 1960s, the non- and anti-communist Left sought to extend civil rights to those who had been deprived of them; simultaneously, the communist and anti-anti-communist Left sought to drag the movement in an anti-American and totalitarian direction. As a result, the anti-communist Left understood that it needed to clearly distinguish itself from its extremist counterparts, and prevent them from seizing leadership of the movement. They succeeded in doing so during the civil rights movement, and won an epochal victory as a result; they failed in the late 1960s, and sadly the Left remained moribund for some two decades. Today, those in media and academia who might be able to stop extremists from dominating discussion of Israel appear to be doing the opposite. The extremists set the tone and the more moderate forces give in without a fight. They look the other way when extremists call for boycotts against Israel, foster hate speech, and engage in deceptive and unethical practices. In the name of free speech, they have undermined free speech by ignoring, censoring, or white-washing uncomfortable and inconvenient truths. Ironically, or perhaps tragically, those who are most injured by this are, in fact, those who advocate most strongly for a dovish approach to the Israeli-Palestinian conflict. On the BDS issue, for example, many critics of Israel who are not political extremists feel suffocated and abused by their more extreme colleagues. I do not trust the BDS movement. Its stated aim is to end the occupation, secure “full equality” for Arab-Palestinian citizens of Israel, and fight for the right of return of all Palestinian refugees. The first objective is essential to Israel’s future. The second is laudable. The third, combined with the second, equals the end of Israel as a Jewish state. This is the hidden agenda of BDS, its unacceptable subterfuge: beguile, disguise, and suffocate. Indeed, as many have already noted, the Palestinian Authority itself does not support a boycott of Israel, and its president, Mahmoud Abbas, has said so quite explicitly. Even some among the extremists have admitted that many tactics used by the anti-Israel industry, and BDS in particular, are counterproductive. Norman Finkelstein, who has accused Jews of exploiting the Holocaust for their own and Israel’s gain, has nonetheless described the BDS movement as “a hypocritical, dishonest cult” led by “dishonest gurus” who want to “selectively enforce the law” by posing as human rights activists. Noam Chomsky, who for decades advocated dismantling Israel in favor of a “binational” state, has said that any movement that targets Israel alone can be attacked as anti-Semitic and “unfortunately, this [characterization] is with justice.” He has also said that the BDS movement’s “hypocrisy rises to heaven,” criticizing Barghouti, the movement’s founder, for advocating a full boycott of Israel despite having studied at Tel Aviv University. All this points to the immense importance of the media’s coverage of anti-Israel extremism: By refusing to report accurately on it, media outlets enable forces that fundamentally oppose any genuine reconciliation to the Israeli-Palestinian conflict. They help empower extremists—some too extreme even for their fellow extremists—who use bullying and sometimes unethical tactics to marginalize and silence precisely those voices who might help bring about reconciliation between Israelis and Palestinians. And more than anything else, they give hope to those who will never accept a Jewish state and, in refusing to do so, make peace impossible.